Zip-lining through a rainforest, seeing nocturnal wildlife first-hand, visiting with local students, climbing a historic volcano, cooking with an abuela, and learning the El Torito are just a few of the things that students and teachers from Watertown High School will do when they go to Costa Rica during April vacation. A Watertown High sweatshirt being sold as part of a fund-raiser by the 17 students and teachers heading to Costa Rica over April vacation. WHS merchandise is only on sale through the end of January. This promises to be an educational and unique eight-day trip for the 17 WHS teachers and students, and will hit all of the must-see spots. There was talk about a potential trip to Costa Rica during the end of last winter, but no one knew for sure what was going to happen. With the help of Spanish teachers Adam Silverberg and Kayla Prange, the school approved the trip and preparation has been underway ever since. There are currently three teachers (Mr. Silverberg, Ms. Prange, and ESL teacher Sonia Tamakian) and 14 students enrolled on the trip. The students happen to be sophomores or seniors, though the trip was open to juniors, too. To attend the trip, students had to have been taking any of the four languages offered (Spanish, Italian, Arabic, or Armenian) since last year. Everyone is ecstatic about the experience that is only a few short months away. “It’s such a great opportunity and everybody in the group is beyond excited,” said student Arianna Curry. Watertown High has not been able to offer a trip in more than 10 years, making this even more thrilling. It is also a good incentive for students to stay with foreign-language classes because opportunities like this may be available in upcoming years. Mr. Silverberg, who is the languages coordinator in the Watertown school system, said, “We are excited to be taking a group of students to Costa Rica. It has been several years since the world language department has traveled with a group of students, and we want to bring that tradition back to Watertown. A Watertown High T-shirt being sold as part of a fund-raiser by the 17 students and teachers heading to Costa Rica over April break. WHS merchandise is only on sale through the end of January. There have been many meetings with the group to prepare for the trip. There have been discussions about what to expect and the layout of the trip. Fundraising has also been a big discussion for students, with the cost of the trip being a little more than $2,000 per student. The students and teachers going on the trip came up with an idea to raise money, while also promoting the school: selling WHS attire! 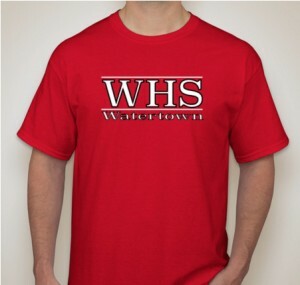 All of the shirts say “WHS” on the front with “Watertown” written underneath. There are three T-shirts available: two in black (one in ladies and one unisex) that cost $25, and one in red for $30. Along with the T-shirts, there is a black long-sleeve shirt ($27) and a hooded sweatshirt ($30). Everyone involved in the trip wanted to sell something that a lot of students and teachers would want to purchase, and what is better than school merch? 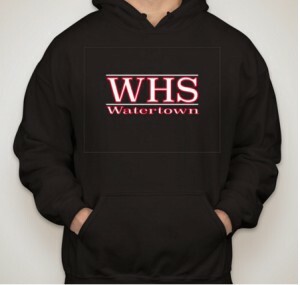 The link to all of the WHS shirts and sweatshirts available is: https://www.booster.com/watertownCR?type=4&side=front. This website is made for fund-raising, so all proceeds go to trip costs and will continue until the end of January. In addition to buying attire, people are welcome to donate any amount to go toward the trip. Donors can choose to remain anonymous, or leave a comment for the students. The community is encouraged to show school pride while helping students go on the trip of a lifetime. The trip is being planned through Worldstrides. There were different trips that could be chosen that had a set itinerary, but this particular one caught the eye of Mr. Silverberg and Mrs. Prange. The students and teachers will be leaving Boston at 5 a.m. on the Thursday before April vacation and heading to Miami. There will be a short layover before heading over to Costa Rica, landing in San Jose, leaving enough time for customs. The trip is eight days long so everyone will be returning the Thursday during April vacation, giving the students time to get back into the swing of things. Although Costa Rica is only an hour behind Eastern time, everyone is going to be exhausted, needing as much time as possible to get back into the routine after a jam-packed eight days. Catherine Papayannopoulos is a veteran member of the Raider Times staff (2014-17).